A key benefit of being involved with Bonsucro is the ability to make claims. The types of claims you can make vary depending on your level of involvement – for example whether you are a Bonsucro member, or have obtained certification, or are a partner of Bonsucro. 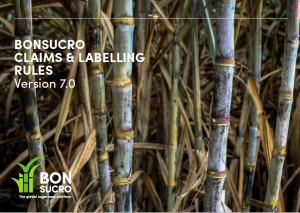 Bonsucro has just published the latest version of Claims & Labelling Rules – download it here. The latest version of the Claims & Labelling Rules replaces the previous version, published in January 2014.